This is especially important in the Sunshine State, where voters get to decide two cliffhanger races with major implications for the future of the country. Both the Senate race and the gubernatorial contest are too close to call and, if Florida’s election history is any guide, they could be headed for recounts. audits, are conducted in full compliance with the law. 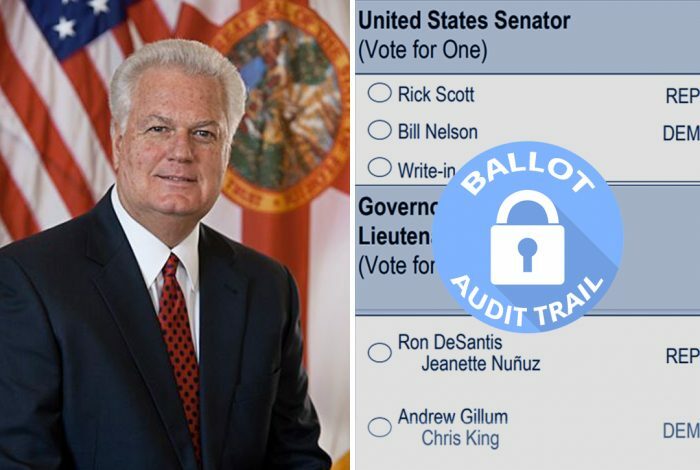 Concerned that Florida election officials would violate federal law and destroy the ballot images before the legally mandated 22-month preservation period, Attorney Benedict P. Kuehne — on behalf of concerned Florida voters — sent a letter to Detzner earlier this month asking him to instruct state election officials not to destroy the ballot images.